Chandigarh 22nd May:- Edition 2 of Connect Net Champs - a program that addresses Internet Security among school students – kicked off its 5th session on Cyber Security at The British School today. The session included a thrilling Quiz contest for students. Two candidates were shortlisted for the next round. In an interactive session with the expert, children at The British School Mohali learnt various nuances of the internet world. Topics of discussion included the potential risks related to internet and how to avoid these, exposure to inappropriate material, harassment and bullying, physical molestation, legal and financial, viruses and hackers. Additionally, important guidelines were imparted on how children can avoid online risks, rules for online safety, and how to be a smart internet user. Talking about the Program and its takeaways, Arvind Bali, CEO, Connect Broadband & Videocon Wallcam, said that Net Champs is a program that will make children well aware of the Internet and Technology. We feel Cyber security is a shared responsibility that every individual should embrace in their communities to keep the Nation and future generation secure. 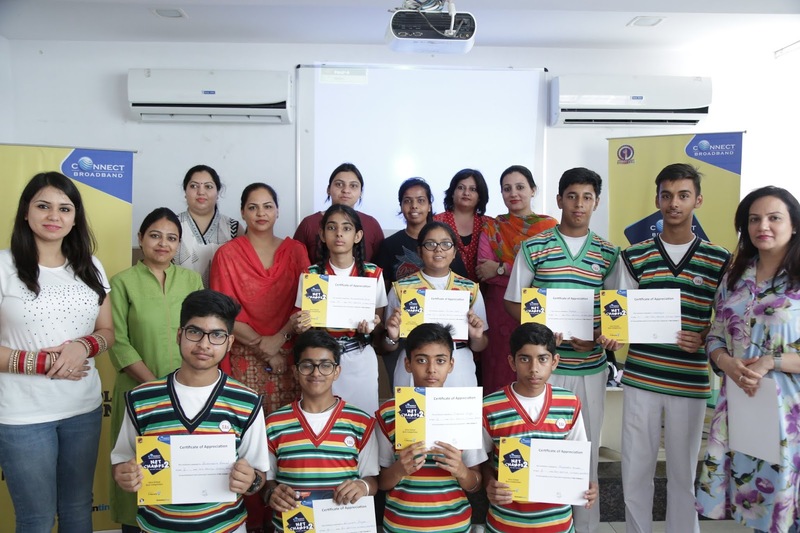 Campaign ‘Net Champs’ is designed to educate and empower the students, parents and teachers to take steps to protect themselves and their families online. This year we look forward to covering 200+ schools. The campaign entails associations with schools across Punjab to educate the students about cyber security engaging Parents and Teachers to acknowledge and commit to the shared responsibility of securing cyberspace. The program consists of a series of seminars targeted for students, teachers and parents followed by thrilling Quizzes for students that will also shortlist candidates for the next rounds. The 2018 Edition of Net Champs is powered by F- Secure, a well-known Finland based cyber security solution provider as its security partner. The event is structured in three tiers including school rounds, city round and the Grand finale. The Chandigarh and Punjab-wide Mega Contest this year will hunt for the Net Champ 2. In each round there will be exciting gifts to be won.